In March, on the Google Webmaster Central blog, Google confirmed it is to start displaying upcoming gigs or concerts on the right-hand side of its search results for band name results. It’s all well and good explaining this to the search marketing audience who already understand and practice such techniques, but does it really mean anything to musicians and artists? Perhaps the more important question is: should they take note? This is great news for both searchers and musicians. The searcher can now see, at a glance, what gigs are coming up, with little effort, when looking up an artist. 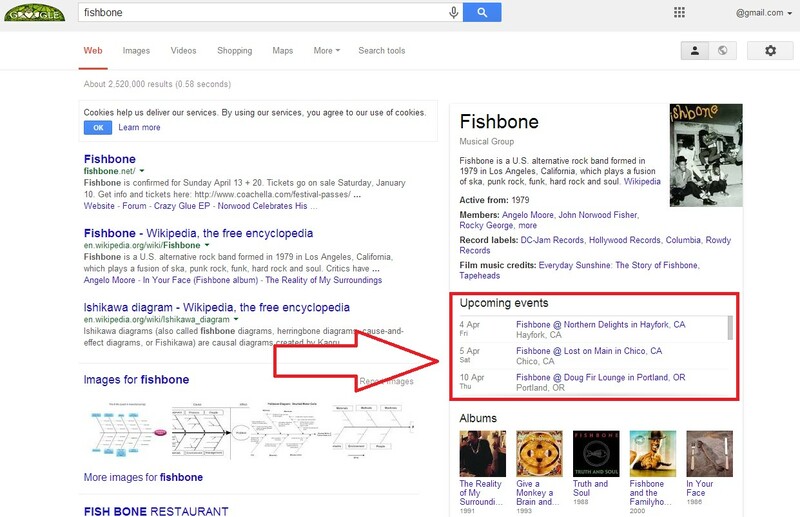 The musician can promote their upcoming concerts more effectively via Google. 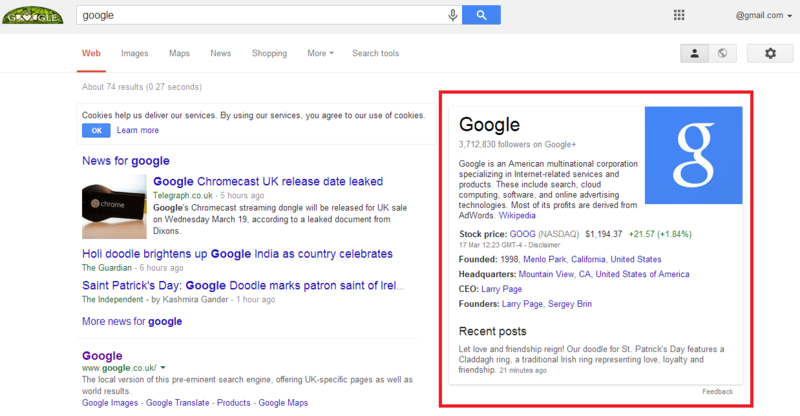 In short, Google is using two tools to make this possible; structured data and Knowledge Graph. Structured data is a form of data markup code used around copy on a website to help search engines understand and index that information better. It is commonly used by businesses to help search engines identify the information on their website, such as the locality of their physical business address. It can also be used to aid search engines in understanding content within a video, as search engine crawlers cannot view and extract information from video embeds… well not yet, anyway. Schema markup is the most common used method of doing this in modern search. Knowledge Graph is Google’s way of presenting information visually within search – specifically with images and extracted information. It is displayed on the right hand side of organic search results. Why do businesses use structured data? Not only can structured data markup help with search engine optimisation (SEO) in terms of visibility, search engines such as Google will then use this information to display your website in their search pages. When searches bring up a video or reviews within the results, it’s called a “rich snippet” – a direct result of using structured data markup. These snippets also stand out on result pages and can help increase click-through rates to your website. 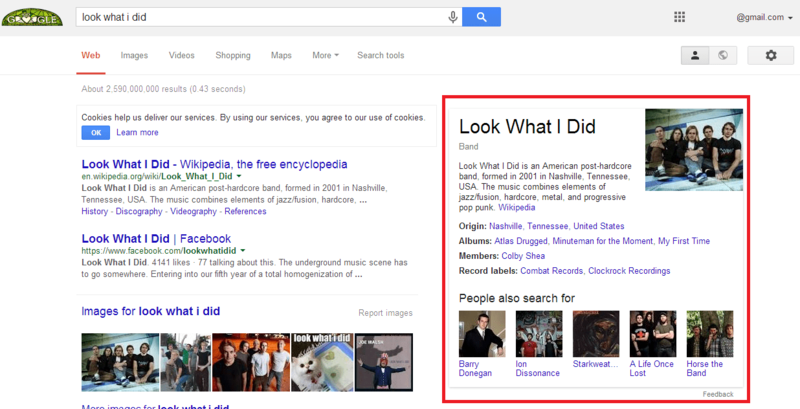 Why should musicians be using structured data? It’s accurate to say online music promotion occupies a much stronger standing within the social sphere than SEO. This is, in part, down to the exercise of promoting music being brand-led. It’s also somewhat attributable to the fact that most people have a rudimentary level of understanding when it comes to posting on social media, whereas SEO is a more specific skill set. Not every artist, musician or band brings up a knowledge graph panel when searched – usually it’s in relation to the size and popularity of the act. However, if you’re a musician known enough to warrant your own Wikipedia page, chances are you’re getting a knowledge graph panel on results in Google for your name searches already. Keep on pushing your music. Increasing popularity and reach via releases, touring and social promotion is how most artists managed to get seen by Google without any SEO in mind. Make sure all social profiles and streaming services you use are optimised to their maximum potential. Always fill in any fields available for members, albums, songs, lyrics, etc. Set up a Google Plus page for your music and make sure you put in as much information as possible, then keep posting on it or engaging with others regularly. If you feel your music is well-known enough to warrant one, set up a Wikipedia page (where Google are getting a large chunk of their structured data for knowledge graph already). Then optimise all relevant information with the correct Wikipedia markup. Use Schema elements such as MusicRecording markup and rel=”publisher” on your website. How do I start using Schema and structured data for upcoming concerts? There are several methods suggested to implement schema markup on upcoming concerts listed on the Google Webmaster tools blog. An easier method, if you are using Google Webmaster Tools on your website, would involve the Data Highlighter tool option within the Search Appearance menu. From here you can enter the page URL listing your upcoming shows, drag highlighted relevant event data and label it for Google. Alternatively, many common third-party event listing plugins, such as Bandsintown or Songkick, have structured data included within their widgets. 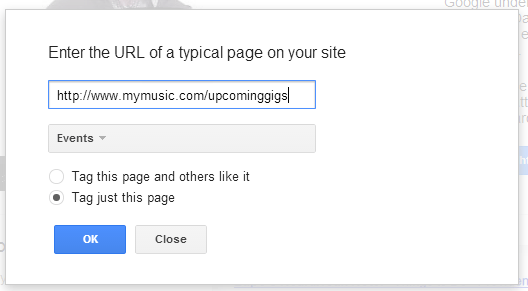 Simply embed your upcoming gigs widget on your site and hey presto! Is event markup only useful for musicians? Markup is useful for almost anyone hosting any type of event, whether you’re a generalist site that lists external upcoming events, a music venue, agency, sports ground or business conference host. Markup is something every website should be doing to aid search visibility and help more people discover forthcoming events. ABOUT THE AUTHOR: Dan Callis is an SEO Campaign Delivery Manager at Vertical Leap; a search marketing agency based in Portsmouth, UK. He has also spent most of his adult life making loud noises some form of a band, the most recent being Housefires. You can follow him on Twitter at @callis1987. If you’re on this website, that means you’re interested in new ways that music can be shared on the internet. With that in mind, I’d like to introduce Hearo.fm, a new music social network and marketplace where artists can share and sell their music, connect with fans and other musicians, and find a home on the web. On Hearo, artists can upload any original music (formatted correctly, as outlined in our FAQ here: https://hearo.fm/about), and make it available to the public for purchase, as a free download, or as stream-only. Prices for purchasable music are set by the artist, who receives 90% of the proceeds (a more favorable ratio than many other online vendors). We set these artist-friendly guidelines because our mission is to support artists and create an environment in which they can actually make a living. To that end, we also promote our site’s users on our Facebook, Twitter and Tumblr pages, and have live artist showcases (such as in our home city, Philadelphia, and at SXSW). We also strive to create a community where artists can find each other for mutual appreciation and possibly collaboration. In addition to an on-site messaging system, our innovative map feature allows for users to find peers near them (or in a city they may be visiting). It’s just part of our desire to create a true online home for artists, not just a place to put their music (although it’s good for that too). Though we are new to the scene, we already have thousands of users across the world, and from every genre imaginable. Artists such as rapper Davon, new wave band The Foreign Resort, and indie rockers Autopilot have found a home at Hearo, and a teammate in getting their music to more eyes and ears. In addition, we will be expanding Hearo over the coming months to include additional resources for fans simply looking to find new tunes – though we will always keep our promise to be an artist-friendly community. My name is Matt Rothstein, and I’m the Social Media Marketing Director for Hearo.fm. If you’d like help promoting your Hearo page or with anything else, email me at mrothstein914 at gmail dot com. Bandzoogle makes it easy to add an intro or “splash” page to your website. When used properly as a landing page for your visitors, they can be an effective marketing tool for your music. However, intro pages can easily be misused, which can hurt your site traffic,fan engagement, and your sales. 1. Permanent intro page: Intro pages should only be used for short periods of time and for specific calls-to-action. It becomes annoying for repeat visitors to keep having to click through to your main site. Also, Google picks up text content on your page, and if the first page of your website is an Intro page, there isn’t much to tell Google how your site is relevant to search queries, which can hurt your rank. 2. Too much content: Don’t clutter your intro page with several music players, too many videos, and various social feeds. Make it very clean and focused. 3. No clear purpose: There should be a clear purpose for the intro page. Let fans know about your new album, a crowdfunding campaign, a new video, tour, etc. Don’t just have a photo of your band with an “Enter Site” link, this simply wastes the visitor’s time with an extra click to get to your content. 4. Hidden “Enter Site” link: Make it very easy to find where to enter the full website from your intro page. If someone can’t quickly find out how to access your full site, they might just give up and go back to checking their Facebook and cat videos, and not come back. Under Construction: Your website is still under construction, and you want your visitors to know that you’re still there even though your site isn’t accessible. Even then, you can embed a video, or have a mailing list signup to engage the visitor in some way. In and around Ontario, the war on internships rages on. It’s been a hot topic in the press as of late since 2 Canadian magazines (Toronto Life and The Walrus) dismissed their interns after the provincial government questioned the ethics behind unpaid youth employment. This isn’t the first time internship drama has made an impact in the media – there was the Fox ‘Black Swan’ lawsuit that created quite a swell of excitement in September 2013 and it’s got me thinking. As an intern you have an opportunity to prove to a company why you deserve to be hired over anyone else. In J.J. McCullough’s article for the National Post titled ‘Why Internships Should be Illegal‘, he likens unpaid internships to “something [that] can be very good for business yet still ugly and immoral.” He even goes as far as to educate young internship victims (eyeroll) on “9 tips for ending your internship on a positive note”. As a business owner who employs unpaid interns, I regularly come into contact with many people who agree with McCullough’s point of view on a practice that is a personal career choice many young professionals make. A wise career choice, if you ask me. Allow me to add a personal spin. Internships are something I feel very passionately about – at the age of 15, the indie record label Wind-Up Records Canada gave me my first internship opportunity. I remember driving from Barrie to Toronto to be interviewed in their office and being totally amazed. It was in that moment I knew I was exactly where I needed to be and that this opportunity was a great chance to prove myself and start my long career in music. Three months later I was hired on a contract basis to coordinate Lifestyle Marketing, and from there I continued to weave my way into the fabric of the company. I started my own company three years later (at the age of 18), and Wax Records (ex-Wind-Up) has been one of my longest standing clients. I am not saying there aren’t bad internships out there, and with them bad experiences, but as a young professional it is your responsibility to decide if you are getting what you need out of an internship and leave if it is not something you enjoy doing. At some point as a young adult you are are going to have to learn how to navigate a good or bad opportunity! It will get easier the more of both kinds you come face-to-face with. Later on, when I sat down to build the strategies I would run my own company with, I knew interns would be a crucial part of the team. At all times we have 4 to 8 interns each working 2 to 3 days a week. More than 50% of my staff is made up of past interns, each having persevered their way into full-time positions. For the right people it’s an opportunity to prove themselves in a place where they can have a direct impact on their own success as well as the team’s. We do not pay our interns, but there are many perks to the position. Our interns show up with smiles on their faces every day! When I hear the Ontario Government enforcing a loose-y goose law like this one and journalists like McCullough picking a war on a practice that is a personal career choice for each young professional it makes me question their appreciation for freedom of choice and their understanding of the market. When I hear young people rolling their eyes at the practice it just comes across as complain-y and entitled. And typically in my career path I’ve been fortunate to learn that complaining, making your problems about the system, and avoiding the basic act of putting your head down and working hard will ensure you’re the only one left frustrated. I’m a big believer in the idea of natural selection in terms of hard work. The world is made up of natural selection. You can say that the opportunity wasn’t fair (and you’re right) and you can say that everyone should be equal (but they’re not) but none of that matters. If you can work hard, and I mean really truly hard, you can overcome any set backs and make a difference. You can be successful. And isn’t that what we all want at the end of the day? By whatever standards we choose to define success, that is. What I do love about the music industry though – and I know everyone wants to whine that it’s corrupt (more complaining) – is that there is a great sense of natural selection. Those who work hard, write great songs, and have a great strategy usually rise to the top. They are usually rewarded for their talents while the complainers sit back in their basements making their issues about everyone else except themselves. Time and time again the people who put their heads down and stay focused all of the sudden find themselves towering over the rest. Sure there are flukes and exceptions but I have no time to worry about those. I agree with Andrew’s viewpoint here 100%. With laws like this we are going to lead ourselves to an even bigger problem – young “professionals” who actually don’t know how to work hard and prove their value in an increasingly competitive market. If you find a company you like and you can see yourself building a career there, then it’s up to you and only you to rise above any obstacles and make yourself an indispensable part of their team. The interns or volunteers who can do this probably won’t be interns for long. I’m not saying that becoming successful requires working for free or being ‘taken advantage of’. I am saying it takes a lot of hard work, and as a young person given the opportunity to prove yourself, don’t get hung up on semantics and work hard. Learn to work the system to your benefit, or instead of strategizing your way into a successful position you can sit around and complain about unpaid internships. Meanwhile success is passing you by. If you ask me, the only consistent and honest thing you can really believe in is hard work. I made this decision at a very young age. I mean HOURS of head down – weekends, late nights at your desk, writing, executing, calling, fighting for what you believe in, and strategizing. To clarify – this is what I mean when I say ‘hard work’. If you love what you do and feel good doing it money should be far from mind. If you want to find ways to get out of working hard – whether it’s complaining about interning, inflicting laws or opinions to influence the youth of today and their internships, or any other distractions you deem worthy in your life – no one is going to stop you. But rest assured no one is going to look back to help you when you are left feeling frustrated and undervalued in your career and life. Or perhaps – if you’re one of these people who feel entitled to a great job but don’t feel like doing much of the work needed to get there – may I suggest a relocation to France. They have inflicted a ban on work related web browsing and emails after 6pm. You can soiree while the rest of the world gets ahead and makes important decisions when they’re needing to be made. Do yourself a favour and start to do whatever it takes. Prove your value and the rest will fall in to place. Hard work speaks louder than any of this. Call me an ‘apologist’, sure, as long as it’s second to ‘successful’. Over the years there have been many lawsuits between and among the members of various musical bands. These lawsuits have concerned everything from disputes over the distribution of money to the right of departing members to use (or not to use) the band name in connection with ongoing endeavors. In most cases, it would have been better to be safe than sorry, and get the understandings of the band members in writing when everyone was in agreement just so all the parties remember what they agreed to at the start. The internal group member contract between the members of a band is fundamentally important, but many musical groups ignore this crucial early step. When two or more people associate for the purpose doing business they create a partnership in the eyes of the law. General partnership law applies to the association unless a written agreement states otherwise. General partnership law provides, among other things, that all partners equally own partnership property and share in profits and losses, that any partner can contractually bind the partnership and that each partner is fully liable for the debts of the partnership. In the case of most musical groups, a written agreement setting forth the arrangement between and among the group members as partners is preferable to general partnership law. A band agreement can address issues such as who owns the group name (and whether and in what capacity a leaving member can use the group name), who owns what property (including not only sound equipment but intangible property such as recording agreements and intellectual property such as the songs and the recordings created by the group), and how profits and losses are divided. Since it almost goes without saying that members of a band inevitably leave and groups inevitably disband, it is important to structure an inter-band agreement in the early stages of a career. It will function in a sense like a prenuptial agreement when matters start to disintegrate, and it can make the break-up process less painful. Some bands may deal with this agreement among themselves and some bands may have a lawyer prepare a basic inter-band agreement. If it is a fairly equal partnership where all members are writing and performing and sharing equally, it is a fairly simple process. However, where some members are songwriters and others are not and/or where one member claims ownership in the name or another makes significantly larger financial contributions than the others, it can become a complicated process. If the band cannot work it out among themselves, they can either sign a conflict waiver permitting the one attorney to act solely as scribe (and not as advisor) on behalf of the group, or each member of the group may need to get his or her own lawyer to protect each respective member’s interests. Like it or not, as artistic and creative as forming a band can be, this is a business and it is wise to recognize that and deal with it. These inter-band issues are better dealt with at the beginning when everyone is optimistic and excited rather than later when tempers flare and bitterness pervades as egos clash. In most cases, the band agreement will state that if a particular founding member was the creator of the group name then only a group comprised of that member and at least one other member can use the name. This will apply whether one other member leaves or if the group disbands and only the founding member and one other reform the group. There are as many different ways this provision can be drafted as there are different group names. When a group member leaves, the remaining members are going to want to keep the group name and are not going to want the leaving member to dilute its value or confuse the public by using it in any way. The band agreement provision may say that a leaving member cannot use the name at all or that the leaving member can only mention that he was “formerly” a member of the group (provided that such credit is printed smaller than the member’s name or his new group’s name, etc.). Rights in the group name may also concern revenues generated in addition to rights, specifically as they concern the sale of merchandise (e.g., hats, t-shirts, calendars and other products and paraphernalia). The band agreement should have a “Buy-Out/Pay Out” provision which would deal with this financial aspect of the group name. Another important financial issue is the question of the leaving member’s share of partnership property such as band recording equipment or a group sound system. Again, the agreement might specify a monetary payout to the leaving member if he is terminated but forfeiture if the leaving member quits. If merchandise with the leaving members name and likeness still in inventory is sold after the member leaves, a decision will have to be made about whether and how much the departed member might receive for the use of his name and likeness. The issue of control is also very important to deal with in inter-band contract. In most cases, each member will have an equal vote and a majority will rule. However, there are as many variations as there are bands. For example, some acts might require unanimous agreement or an important member may have two (2) votes and/or the band’s manager may have a tie-breaking vote. The agreement may also provide that certain matters such as requiring financial contributions from group members or incurring debts on behalf of the band require a unanimous vote. Again, there are endless variations including situations where a particular member makes all of the decisions or where new members do not have a vote on band business. One interesting inter-band arrangement was that of The Beatles. In answer to that age-old question, “no”, Ringo did not get less. In fact, my understanding of their arrangement was that it was what might be called a reverse democracy: each member had one vote but if any member voted against doing something then the band would not do it. In other words, their arrangement required unanimous consent to proceed with an activity. Another issue of control that must be decided for the band agreement concerns the hiring and firing of band members: how votes are calculated (e.g., will each member get one vote or will a particular member’s vote count double) and how many votes are needed (e.g., a majority or a unanimous vote) to fire a group member and/or hire a new member. In most cases, a new member voted into the group will then be required to sign on to the internal group contract. It must also be decided how to vote on any amendments to the band agreement since this may materially effect the relationship between the members after the group has started. In most cases, a majority vote will be deemed determinative but some members may prefer a unanimous vote on such things as amending the agreement (as well as hiring or firing). This will have to be decided between and among the members of the group. Finally, the group’s internal agreement should contain a comprehensive Buy-out/Pay-out provision that deals with departing members. In most cases, whether the leaving member quits or is fired the agreement will provide that the leaving member waives all rights in the intangible assets of the partnership (e.g., the group name, the group contracts, etc.). If the member quits, he might waive any right to and benefit derived from the hard assets such as band sound equipment. If the leaving member is fired, the agreement might provide that he or she is entitled to the pro rata percentage of the current value of the hard assets. With respect to this payout, the band agreement may provide that if the valuation exceeds a certain amount (e.g., $25,000.00) or would put the band partnership in financial distress, the payout would be in a certain number of equal monthly installments (e.g., over 12 months). Again, this Buy-out/Pay-out provision can be as simple or as complicated as the band members deem necessary. There are as many variations in this as there are differences in personalities between the members of a group. Each member and each group must find its own balance. Inter-band issues and disputes are many and varied. Recently, a member of the Eagles sued the remaining members saying he was forced out of the Eagles’ corporation by the other shareholders (and invoked provisions of the Californiacorporate law pertaining to minority shareholders in close corporations). Years ago an ex-member of The Black Crowes sued his former band mates claiming that he was entitled to an equal share of all the money they made after they threw him out of the band. His contract claim was based on nothing more than a pie chart drawn on a napkin. Legend has it that, years before while eating at a dinner after a band rehearsal, each member had signed his name on his slice of the “pie” drawn on the napkin allegedly agreeing that they would stay together and share all of the money equally come what may. Of course, when circumstances changed the fired member used that napkin to assert his rights. It is difficult to form a good band and to achieve a successful career in the music business. Any group of two or more musicians working together would be well-advised to create and sign a good Internal Band Contract so that the band does not later self-destruct over money and ego issues and forfeit its hard-earned career success. In a perfect world, each member could afford its own lawyer to quickly and inexpensively prepare and sign such an agreement. In the real world, that may not be the case. In any event, some kind of basic band agreement is a good starting point for any new band. That was the machinery that then allowed the artist to tour, virtually at will, to play all sorts of dumps and dives (and later the lawn seating general admission heat fests) at any time of the year that they so chose. Everyone had to put up with the long lines, the late sets, the uncomfortable (if available) seating, the bad food, watered down drinks, dark and scary distant parking – because we loved the music and we were all in it together. We needed to see and hear our favorite artists, live and in person, and we would go to any lengths to get there. It was a red badge of courage to detail to friends, family and co-workers the ordeal one had to go through to get tickets, fight the crowds, and stand for hours on end to catch the show. After all, the artist wouldn’t be back in town for at least another year or so, depending on how long it took to write and record the next album, which we were already craving. The digital intervention has certainly changed the artist/album/record company/radio station/record store flight path so that we Boomers (and everyone else) can pick and choose tracks and download or stream them for a fraction of the cost of a vinyl album or CD, and all without leaving the comfort and privacy of our own device screen. But what about the live experience in the new century? Any change for the better? Not really. And that’s where the live industry needs to wake up. Rule 1: All (and I mean ALL) tickets must be available online, with all-in, dynamic pricing (including a parking option) and confirmed, reserved seating. Tickets can be printed at home or office, along with an identical mobile option for scanning at venue if paper gets lost. You guys figure out how that’s going to work; just make sure that it’s easy for us to use (think intuitive). We’re pretty good at ordering stuff online – Amazon relies on us for their bottom line. Rule 2: All shows must start at a decent hour, like 7pm. It’s OK that it’s not dark when the show starts. That way we can allow enough time to leave work, drop off the babysitter, pick up the spouse and head for the venue. We may even show up in the soccer mom minivan. Sorry – you are what you drive and we’re pretty comfortable with that these days, thanks. Rule 3: All venues must have convenient, well-lit, secured, maintained and fully staffed parking structures or lots, with good signage and competent people directing traffic. And spaces big enough to accommodate the aforementioned minivan. No stacked parking – we may need to leave early if the babysitter calls. Valets are not necessary; we can still walk! Rule 4: Figure out a way so that we do not have to wait in any kind of line for anything. No metal detectors or searches at entry. What do we look like? Punks? Gang bangers? Come on. And no stage security is required either. We’re not going to try to sneak backstage or let our friends in through the fire exit. We stopped doing that after Woodstock. Rule 5: Decent, clean food must be served at several fully staffed stations inside the venue. Back off the meat and the carbs (doctor’s orders), but there’s no need to go strictly vegan. You know, like chicken salad, flavored waters, protein bars or shakes. We don’t need any coffee at this late hour – too close to bedtime and we need all the sleep we can get. A lot of us still drink though (against doctor’s orders), which I’m sure is still an attractive revenue source. Rule 6: Two support acts perform 20-minute sets between 7pm and 8pm. That’s all we can put up with – our attention span for unfamiliar things has sadly shortened, but we do like to be entertained. The headliner goes on promptly at 8pm, plays the hits and is off by 9pm (9:30 at the latest) so we can get home, pay the babysitter and still be in bed by 11. Some of us have jobs, you know, and we really can’t keep those late hours anymore and still function the next day. That’s for kids. Rule 7: Venue must have some sort of separate fairly quiet area with seating to check our phones for messages (like from the babysitter) and get away from the show if we want to. And please place these areas close to the large, clean, well-lit restrooms. Two ladies rooms for every one men’s. No attendants needed. We can wash our own hands. Rule 8: Staggered and/or auditorium seating preferred. Individual seats with cup holders if there’s no table. No bench seating – we don’t like each other that much – proper chairs to support our bad backs. No standing – our trick knees can’t do that anymore. Fans who want to stand or dance (or take photos or video) during the show should be escorted to the sides of the room, keeping our sight lines open. Did I mention good ventilation and air-conditioning? I meant to. Rule 9: Venue PA speakers must be spread around the room and positioned well above our heads, up and away from all seating. No need for major high-end tweeters or bowel-moving sub-woofers – we can hear just fine, thank you. And there’s certainly no need to play loud recorded music between sets; maybe just enough to allow us to talk to one another WITHOUT SCREAMING. No DJ required – just pipe in some Sirius XM channel befitting the headliner. And please let the lighting guy know that there’s no reason for us to be better lit than the artist. Keep those Vari-lights pointed at the stage, not at us. We came to see the show, not each other. It’s not exciting; it’s blinding. Rule 10: Have uniformed staff members thank everyone as we’re leaving. These helpful staff members should also be available and knowledgable to attend to any of our problems, concerns, questions, etc. Send follow-up thank you’s to those who provided emails when ordering tickets. That’s the way we were brought up. That’s it – just ten. To address half of them would be a start. And we aren’t looking for idle promises – just results. Once the word gets out that the concert experience has changed for the better, we’ll hear about it (think Yelp) and we’ll be back. We love live shows – we grew up with them. We want to get back to our youth – but without all the hassle. We’ll be waiting! Thx. Email marketing is one of the most important elements of digital marketing for bands and musicians. First of all, it’s one of the only forms of online communication between you and your fans that is entirely future proof and within your control. Think about it – you don’t own your Facebook fans or Twitter followers, Facebook and Twitter do – and it’s entirely legal for them to charge you to reach them. Email hasn’t changed an awful lot since it was first introduced in 1993. It probably won’t change much in the next decade either. But that’s not enough for me to recommend it so highly. Email is also incredibly effective when used well. The combination of effectiveness, ease of use, scalability and control are what makes it so appealing, and a powerful tool for savvy musicians. I’ve created this monster of a guide on email marketing for bands to help you learn everything from how to choose a good email marketing platform to ensuring you get the best engagement and open rates. Feel free to skip to any part that you feel will help you the most right now, but to get started let’s talk about email marketing platforms. Email Marketing Platforms – Which One’s Best? The email marketing platform you use will form the backbone of your email marketing. It’s where you store your mailing list, create campaigns, and schedule autoresponders to keep your fans engaged. The primary reason for using a platform like Aweber over something like Gmail is the fact that you can send an email to a huge number of email addresses without getting banned or ending up in people’s junk folders. So if you’re getting started, which platform is best? Which email marketing platform is best to use? I recently wrote an extensive post comparing email marketing software providers and came to the conclusion that while some providers are better than others, it really comes down to a matter of preference. That said, most of us want roughly the same thing. We want the most affordable solution that is reliable, easy to use, and enables us to get awesome results from email marketing. Over the years I’ve tried a lot of different providers for Venture Harbour’s various clients and projects, and there are two providers that I find myself coming back to time and time again; Get Response and Aweber. Get Response is my overall favourite platform. The design of their newsletters are brilliant and the platform is incredibly easy to use and create emails on. They’ve also got a tonne of cool features, like A/B testing (so you can test two variations of an email to different groups of fans to see which variation drives the most engagement), device previews to see how your emails look on different mobile devices, and something called ‘Time Travel’ which enables you to send emails that land in people’s inbox at the same local time. In other words, your fans in Chang Mai, Chicago, London, and Kyoto can all receive your email in their inbox at 9am local time. At $15 per month (and a free trial), Get Response is also one of the more affordable platforms for getting started on. Aweber, on the other hand, have the legacy of being one of the longest established email marketing providers. While their platform doesn’t look as slick as Get Response’s, the functionality is very good and it’s overall very easy to use. It’s a little bit more expensive than Get Response at $19 per month, but the benefit here is that it is free up to 500 subscribers. That said, by the time you have 500 subscribers you will probably be noticing an increase in revenue to comfortably support the cost of the platform, if you’re using email effectively. Aweber have an easy-to-use email creator and they have some handy tools to help you find what does and doesn’t work, which is fundamental if you want your email marketing to get better over time. For a more in-depth comparison of Aweber and Get Response, there’s a comprehensive review of the two here. If you’re still undecided, give them both a shot on the free trial and see which one you prefer. Building a Mailing List: How & What to Consider? Whichever way you slice it, building a mailing list takes time, but we’ll talk about a few ways that you can reduce that amount of time in a second. First, let’s get the legalities out of the way. When building a list, you are legally required to have people opt-in to your email newsletter. This means they have to give you permission to email them, and you must make it possible for people to unsubscribe from your mailing list. The beauty of email marketing platforms like those mentioned above is that they handle all of this for you. Once a fan has entered their details in a sign-up form on your website they will automatically receive an email to opt-in (also called a double opt-in). Double-opt in can work two ways. The first is to have fans sign up and then confirm their sign up. The second is to send them an email once they sign up, through which they are given a link to activate their account/membership/signup. This is actually the best way because if your email starts out in the junk folder then they are more likely to take it out when they activate, which will mean subsequent emails are not sent to the junk folder. Getting fans to opt-in or double opt-in has one major benefit for you; it keeps your emails out of the junk folder. So now that we’ve got that out of the way, how can you go about building a list? Here are a few ideas to get started. Once you know the answer, asking for their email will be less awkward. If you offer 10% discount on merchandise, or give exclusive access to new music to your mailing list, fans will be more inclined to join your list. I recommend asking for emails everywhere. If possible, set up an iPad at your merch table offering people the 10% discount if they sign up. Have a sign-up form on your website. Run social contests and require an email address to take part. The more you ask, the more you’ll get. One of the fastest ways to gain a huge number of fan email addresses is to combine Facebook advertising with a social contest using something like ShortStack orPageModo. There are also a range of awesome music-specific platforms, such asFanDistro and Jango (now called Radio Airplay) that enable you to see the email address of every fan that has interacted with you. Another great passive technique for building your list. As emphasised in point one, people need a reason to join your list. As an artist, your have one thing that your fans want; music, photos, stories. Use that content to get fans to sign up to your list and encourage their friends to do the same. Ideally, building your list should be a passive activity. In other words, it should run in the background while you focus on more important things. Sure, you’ll have to invest some effort into getting the flywheel moving, but once it is moving and fans are joining your list, it shouldn’t slow down. Let’s tackle the elephant in the room; we’re not doing email marketing for fun. It’s an investment of time, energy, and money, that we want to see a positive return from. Now, for some of us that may mean more gigs or just happier fans, but for most I imagine revenue will be an important outcome that we’ll want to see from email marketing. So how can we measure or at least ensure that our email marketing is having a positive return on investment? As an artist, it’s likely that most of your income will come in spikes; the day you release a new album, the day you sign a sponsorship deal, or the day you’re paid from a tour. As such, the investment in building your email list may not pay itself back until you reach that next spike. In my experience, having a good list of loyal fans makes those peaks higher. Having control over your fans can also pay itself back in better deals. If you’re negotiating terms with a label or a potential sponsor you’re more likely to get a more favourable deal if you can say that you have a list of 100,000 fans that you can message at any time. That said, I track everything. Most email marketing providers will give you reports on your open and click through rate, and if setup correctly you can even find out how many fans went on to complete certain actions, such as downloading a song from your website. This information will enable you to measure the impact and ROI of your email marketing. In order to give ourselves the best possible chance, we need to write good email campaigns. So what makes a good email? What makes a compelling email? Great email marketing is about offering consistent value to your mailing list in a way that makes them glad to see your emails arrive in their inbox. Fundamentally, that’s what it all boils down to. Here are a few good tips to ensure that you’re writing good emails. Before you send out any email campaign, see how many times you use the words ‘I’, ‘me’, ‘us’, or ‘we’. The purpose of this is to identify whether the email is about you or the people you’re emailing. The more it’s focused on them, the better you’ll do. Advertising legend David Ogilvy said that “When you write your headline you’ve spent 80 cents out of your dollar”. This is because 80% of people will only ever read your headline. Unfortunately, this is also true with email marketing, which is why you need to learn to write great subject lines. I’ve written in great detail what makes a good headline here. Business Insider also have some good tips on writing subject lines here. 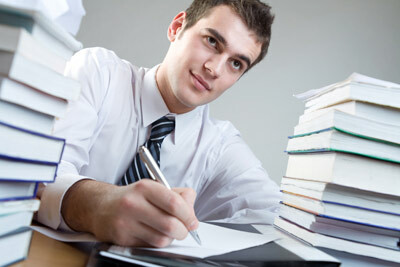 Don’t write long essays, keep it short and sweet. Even consider embedding images into your emails to convey messages visually. Don’t expect your fans to download your single if the only way to do so is through a hard to find linked bit of text at the bottom of your email. Make sure that your call to actions are nice and big and intuitive for your fans. If you research this subject thoroughly, then you will find many differing and contrasting opinions. The truth is that you need to judge your frequency based on your target audience. I’d recommend starting out by sending one email every two weeks and testing different frequencies to gauge which frequency works best for you. Email marketing’s not easy, and you won’t get it right first-time, but it’s worth sticking at. The quickest way to get better at email marketing – or anything – is to measure what matters to you and focus all of your energy on improving it. I hope this guide’s been handy and if you have any questions feel free to ask in the comments below and i’ll do my best to answer them. You can also find me on Twitter &Google+.